Struggling to make room for work, hobbies, guests, and everyday living in your small space? Here’s help! Millennials are opting for more compact and cosmopolitan urban living over the spacious excesses of the suburbs. Still others are choosing to downsize into economical and practical tiny homes. There’s no shortage, too, of young people heading back to parents’ basements post-college, pre-real life! 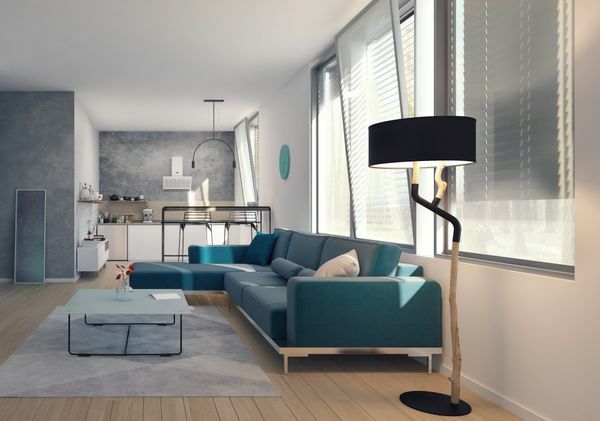 Whether it’s the increased economic strain or the trend towards minimalism, smaller homes are replacing ample square footage as more people look to affordability and lifestyle over living large. 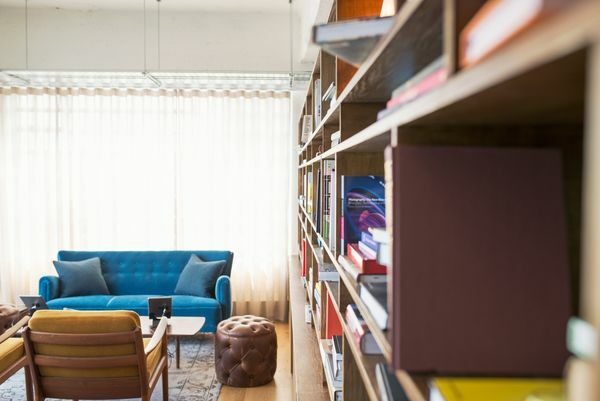 Compromising space may allow for more money in your pocket, but it can make for challenging living particularly if you choose home for your day-to-day activities – work, hobbies, entertaining, or just simple rest and relaxation. 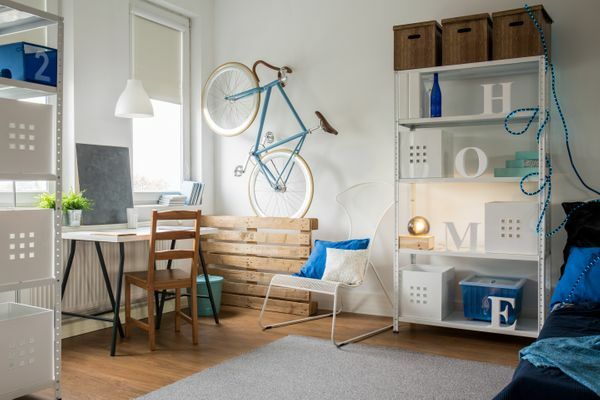 Without a strategy in design and decorating, there’s all of a sudden a premium on floor space and tiny home living can quickly devolve from cute and cozy to cluttered and cramped. Want to ensure your small space continues to be liveable? Here’s a few hints to bring comfort and productivity to your tiny living, helping to maximize what square footage you do have. It’s not unusual for one room to serve many purposes: living room, bedroom, office, for instance. 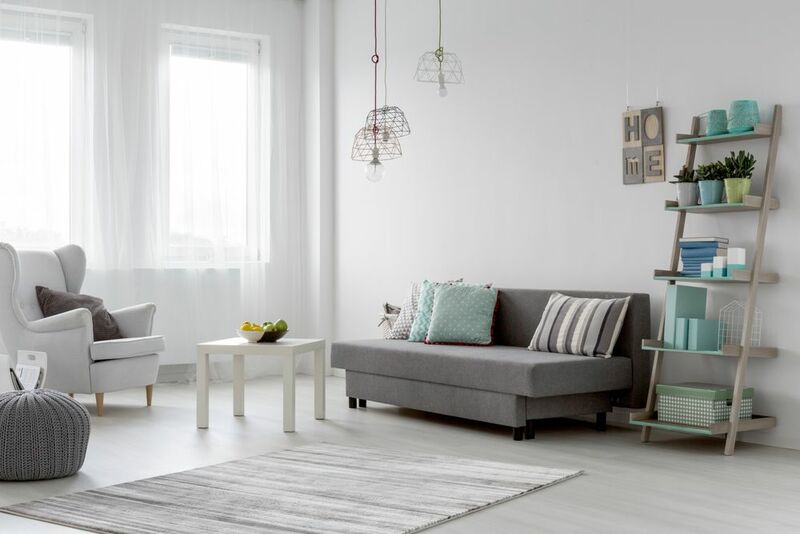 Rather than just cramming everything in together, one of the easiest ways to transform a small living space is to create separate “zones” to better define their function. 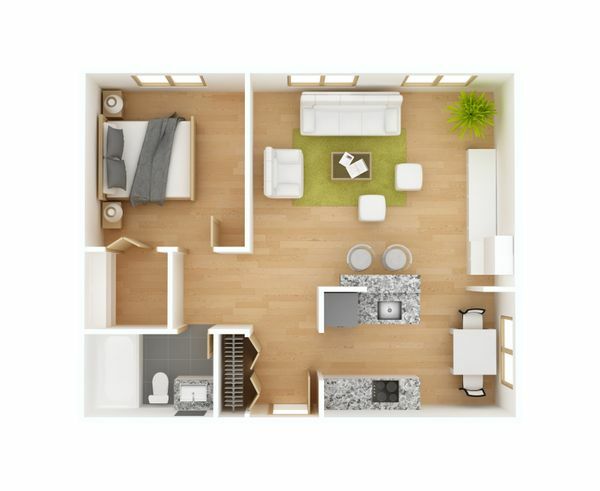 Zoning a room helps keep each area organized and is, in fact, a great way to make a small space feel larger. Identify clearly how you will need to use each different zone and plan to section off your room by function (eat, work, sleep, foyer, relax, etc.) There will be areas that can serve more than one task if necessary, such as work and eat on the same table. Dividing your room can be accomplished through a variety of means: furniture, rugs, shelving, and screens, for example. Rugs anchor an area and visually create a separate feel for each living zone without actually dividing the space with walls. A simple rug and a bench, for instance helps clearly identify the foyer while giving the illusion of space upon entering your home. A sofa provides the perfect separation between living and eating or kitchen. Add a sofa table behind it and you’ve got an attractive way to camouflage the back of the sofa while conveniently addressing additional storage needs. 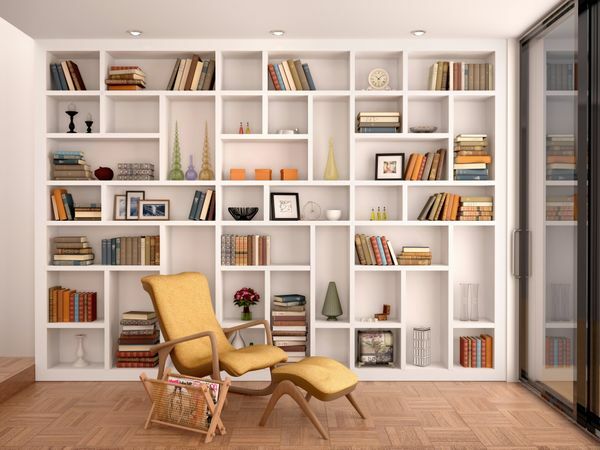 In a small room, plain walls are a waste of valuable, usable space. So, when you can’t go out, go up! 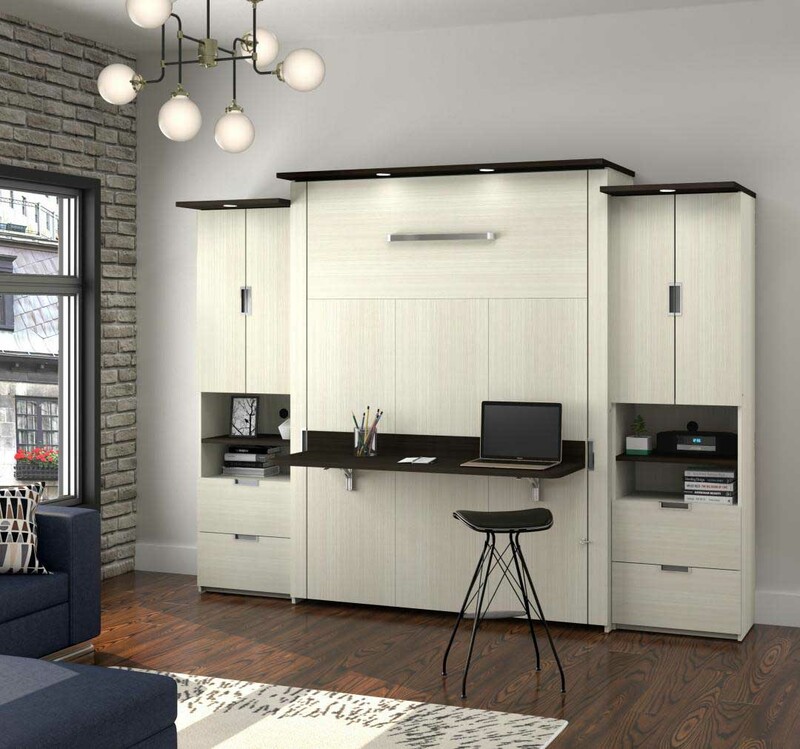 Optimizing your walls can amplify storage capacity and when you’re working with limited floor space, floor to ceiling solutions become an integral part of your room layout. Walls should perform double duty, addressing function without compromising form. Shelves to the ceiling help provide a much-needed sense of spaciousness, by drawing the eye upwards, emphasizing the room’s height. 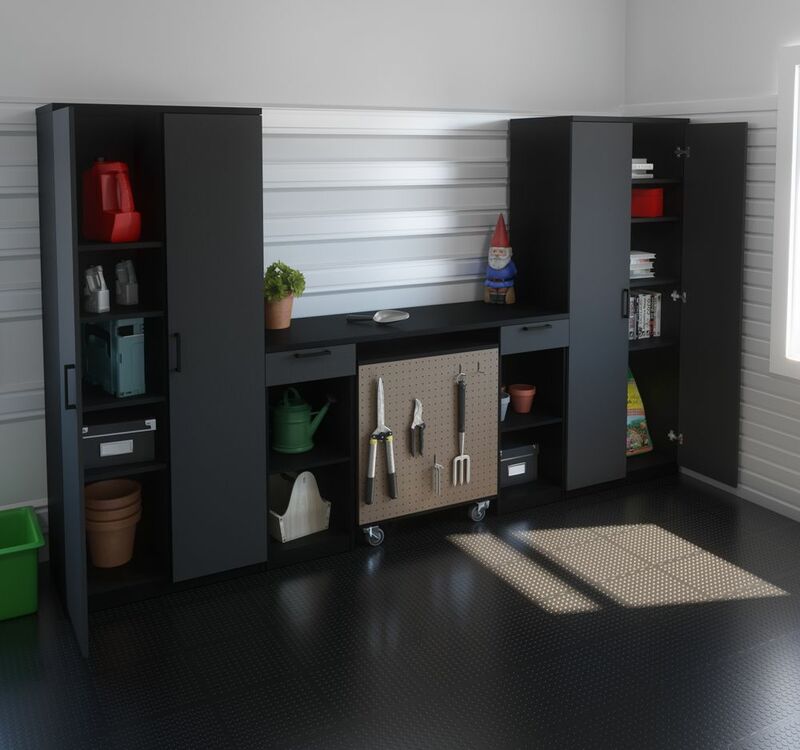 Incorporate tall modular units to sleekly and efficiently manage limited space as well as your various treasures and keepsakes. Get creative with floating or bracketed wall shelving materials to provide wall storage that’s both stylish and uniquely your own. Reclaimed barn wood, metal, or glass are great examples. For ease of use, access the high shelves with a decorative ladder, adding interesting flare along with practicality, not to mention a great place to hang blankets! Side note on painting your walls: keep them light and neutral. Darker colours can certainly make a room seem cozy, but they absorb light instead of reflecting it, making the space feel smaller. Lighter coloured walls and flooring give a bright, airy, spacious feeling. Paint or wallpaper on the ceiling effectively makes the room look taller. One of the biggest consumers of square footage in any home is the bed. A queen sized will easily take up the majority of liveable space that might otherwise be productively utilized. When you don’t have much to begin with, that’s space sorely missed! A convenient and comfortable wall bed can make any room in your home, no matter how small, a bedroom. Also known as a Murphy bed, a wall bed is hinged at one end so as to be stored vertically against the wall, or inside a closet or cabinet. It can also be the perfect solution for effective space-saving. Conceived by William Lawrence Murphy near the turn of the 20th century, he applied for the first patents for the unique bed design around 1900. Legend has it that in his wooing of an opera singer, he needed a place to entertain her. Limited by his one-room San Francisco apartment and the morality of the time – society frowned upon a woman setting foot inside a man’s bedroom – Murphy invented a way to easily convert his bedroom into a parlour better suited for courting. 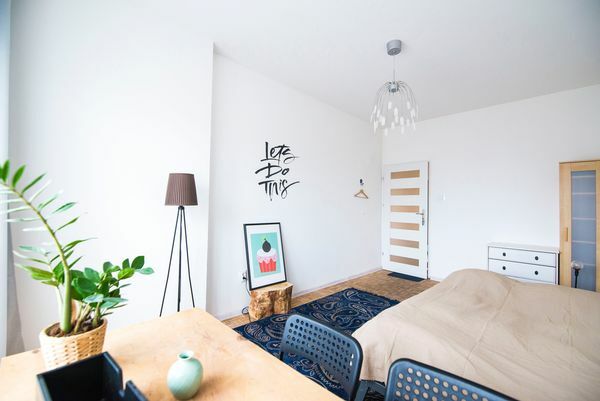 Used most often for space-saving purposes, wall beds are popular where floor space is limited, such as in the trendy new tiny homes, apartments, hotels, mobile homes and even college dorms. Rather than trying to working a sleep area into an already cramped layout, a wall bed is stored vertically, and attractively, within the wall. Most wall bed designs do not use box springs. The mattress is attached to a wood platform or wire frame and is held in place and supported when closed. 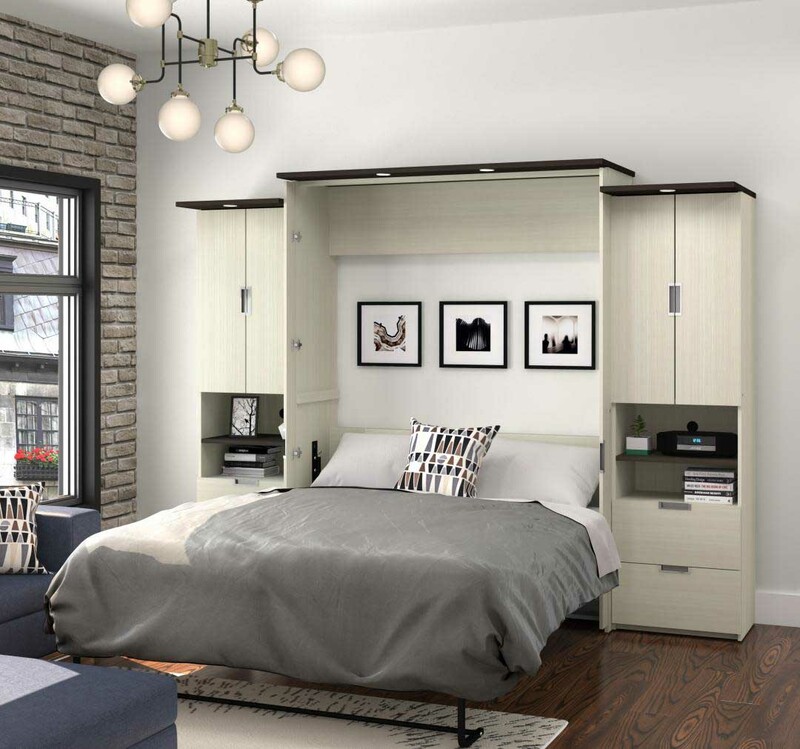 Piston lifts or torsion springs make modern wall beds super easy to lower and raise. Depending on the design you choose, what looks like a storage wall transforms into a beautiful and restful sleeping place. When morning arrives – voila! – the transformation back is a breeze, leaving more room to play, work, exercise, or simply spend time on other activities besides sleeping!